Is it a bird? Is it a plane? Or is it the quieter, more efficient aircraft of the future? It was interesting to see the images produced by a recent NASA competition, which asked engineers to imagine what the cleaner, quieter aircraft of the future will look like. Although the pictures are pretty, it beggars the question what is being developed now to make aircraft more efficient and quieter. 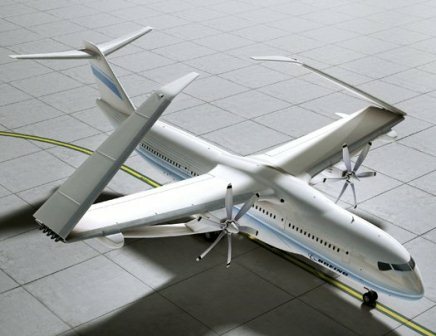 Around about the same time the pictures were released, the European clean tech aviation research programme, Clean Sky, issued a call for more proposals in areas such as smart fixed wing aircraft, green rotorcraft and eco design, albeit to not as much fanfare as the NASA competition. The EU Clean Sky Initiative was started in 2008 and has over 400 industrial participants, including large firms such as EADS and Airbus and many SMEs. The aim of Clean Sky is to develop the technology to reduce the CO2 and noise emissions of aircraft by almost a third by 2020. Its total budget of €1.6 billion is funded 50% by the European Union and 50% by the aeronautical industry. Clean Sky has already produced several interesting concepts. One of the most promising is the “Open Rotor”, an engine where the frame around the “fan” stage is removed. This enables an increased airflow to go through two open or “non-ducted” contra-rotating stages, leading to a large performance increase. One of the major issues with this design is how to reduce the noise such engines produce. Led by Rolls-Royce and Snecma, the first flight tests for open rotor engines are scheduled for 2015. “Laminar wing” technology also has great potential, with anticipated fuel savings of up to 4% in aircraft. Laminar wings are designed to eliminate the small scale turbulences that occur on wings to reduce drag. The first laminar wing has been manufactured using new manufacturing technologies and the first wind tunnel tests conducted. GKN Aerospace is now developing and evaluating the initial concept work further, with the aim of producing components that can be tested by 2015. Both of these technologies show great potential and could be features in the aircraft of the future to make them more efficient and quieter.